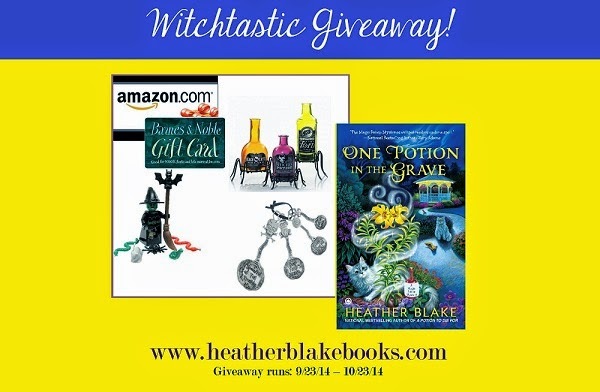 ONE POTION IN THE GRAVE Witchtastic giveaway! Win a set of “Cast a Spell” measuring spoons, a set of three Yankee Candle potion bottle tea light holders, a Lego minifigure witch, and a $20.00 gift card to Barnes & Noble -or- Amazon (winner's choice). Thank you so much for the Giveaways BUT mostly thanks for the hours of entertainment you give us! I'm super excited! Thanks for the contest Heather! Thank you for the contest, but more importantly, thank you for a good book. I have such a hard time finding books and authors that I like. It's like Christmas morning when one of my favorite authors has a new book out. You are an awesome writer. I love your books. Darcy, Carly, Lucy and Nina are some of my favorite people! I always look forward to traveling with them on their next adventure! I love, Love, LOVE your books. You capture my full attention in just a few pages. Can't wait to read more! Thanks for the giveaway! I love your books! I love this series! I also read the Lucy Valentine series. Thank you for some great reading and this fantastic prize. What fun books, I have loved them all. And what a great giveaway! Thanks! This is such a fun, generous, creative giveaway with terrific prizes (Love those spoons almost as much as your books!). Thanks so much for doing it--it shows that you really appreciate your fans. I am so excited for you, Heather! And I can't say enough what a great cover that is! Crossing my fingers! Love this giveaway - thanks so much for the chance!! I can't wait for the new book. I just love your Witchy words. I love this series - can't wait for this one to be released! I love your books and Halloween! This is the perfect giveaway! Thanks! This is one of my favorite series. Darcy is a lot of fun. Ooh this gets me so excited for Halloween reading! Wahoooo! Awesome giveaway! Loved the first book in the series. I love your books, thanks for the chance to win this cool giiveaway. What a great giveaway!! Would love all of it!! Looking forward to the newest book Heather! 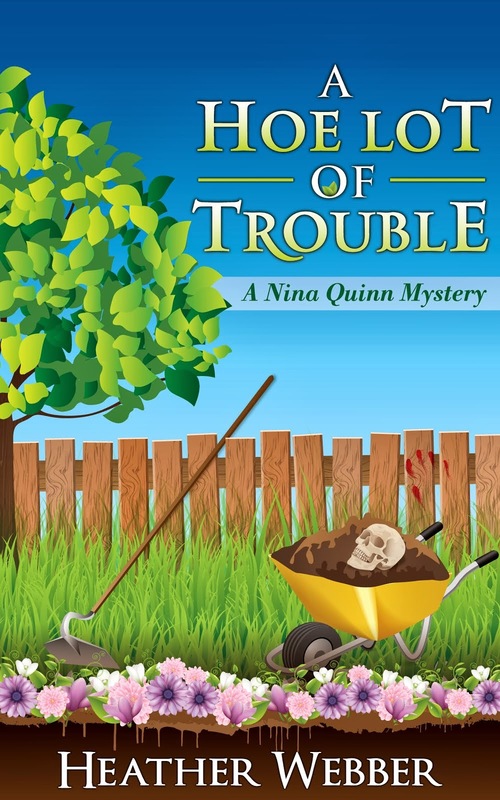 I really enjoy your books, they are always a fun read! This series introduced me to your fantastic writing so it's always going to be special for that. I can't wait to read the new one! The Halloween teaspoons are darling! Looking forward to your next book release! Thank you for doing this wonderful give-away :D I love your books and can't wait to read the newest Potion book. Thank you for the giveaway. I enjoy all your series, they keep me so entertained.